Dr. Kunkel started in 2018 as Lecturer at the CS department of the Unversity of Reading. Previously, he was a postdoc in the research department of the German Climate Computing Center (DKRZ) that partners with the Scientific Computing group at the Universität Hamburg. There, he managed several research projects revolving around HPC and particularly HPC storage. Julian gained interest in the topic of HPC storage in 2003, during his studies of computer science. 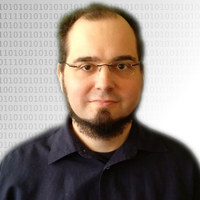 Besides his main goal to provide efficient and performance-portable I/O, his HPC-related interests are: data reduction techniques, performance analysis of parallel applications and parallel I/O, management of cluster systems, cost-efficiency considerations, and software engineering of scientific software.